GRETNA – A New Orleans man is suing a Jefferson Parish fitness club for injuries he claims to have received in an incident where a workout machine malfunctioned. Terrence Grandpre filed suit against French Riviera Fitness of Lapalco LLC, an unknown employee and their insurer in the 24th Judicial District Court on Feb. 6. Grandpre claims he was working out at the French Riviera location in Lapalco when a machine cable snapped and weight fell on him. The plaintiff alleges he was seriously injured in the incident. The defendant is accused of failing to provide proper maintenance and keep their premises in a safe condition, failing to make or take timely inspection of the equipment in question, failing to properly train and supervise employees as to methods of maintenance, repair and inspection to insure safe passage for their customers, not knowing of the unsafe condition, failing to remedy an unsafe condition or hazard and allowing a danger to exist for an unreasonably long time. An unspecified amount in damages is sought for pain and suffering, medical expesnes, permanent disability and loss of wages. 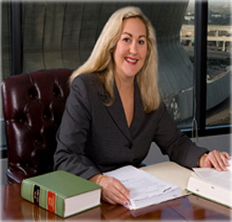 Grandpre is represented by Jeanne K. Demarest of New Orleans-based Alvendia, Kelly & Demarest.